JUST SOLD with 6 OFFERS FOR WELL OVER LIST PRICE! Rare Find! Retreat to your very own urban oasis with spectacular patio in the heart of all the action of the Cambie Corridor. 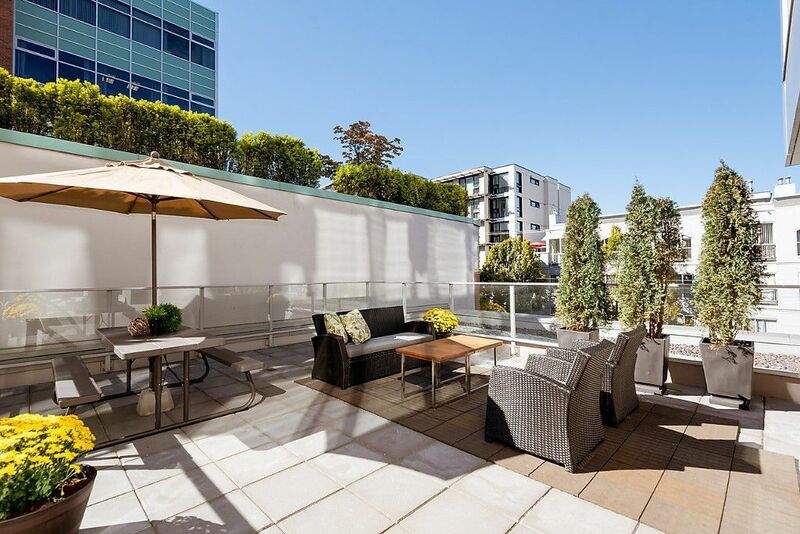 Surrounded by windows, this better-than-new 664sf 1BR+flex corner condo is bright & inviting, yet surprisingly private & quiet...and features a mouth-watering 448sf private patio. Luxurious finishes throughout, incl. light hardwood floors, stylish kitchen w/stone counters, integrated fridge, gas range, double-drawer dishwasher & more. Large in-suite storage + 1 secured parking. With Skytrain, VGH, the Seawall, and endless shopping/restaurants & downtown all just a short walk away, it's hard to imagine a better product in a more convenient location. Pets/Rentals allowed. OPEN SAT/SUN Sept 17/18, 2-4pm.